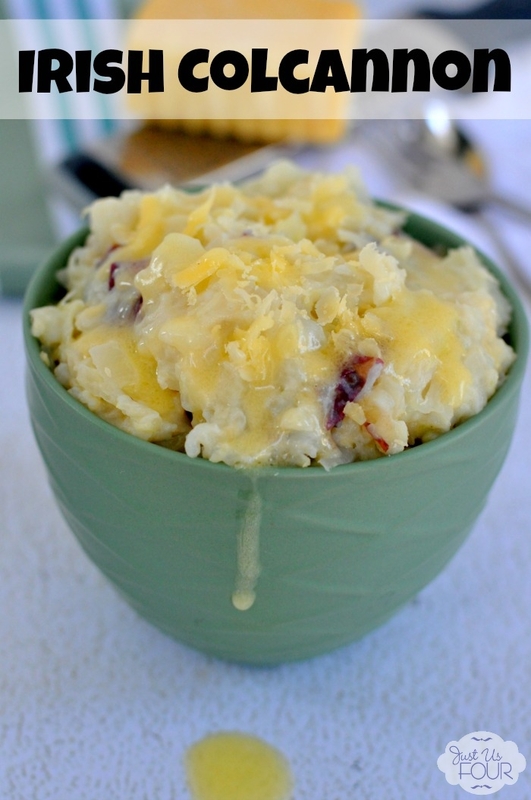 Irish Colcannon - A Deliciously Easy Irish Recipe to Try! 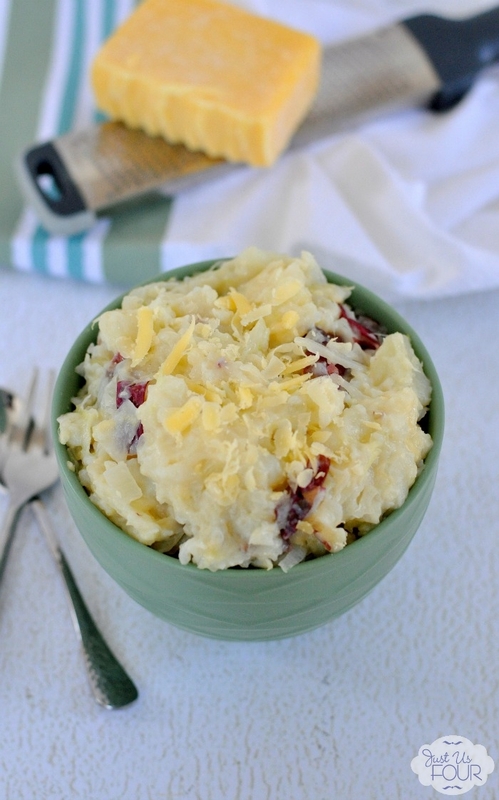 What is Irish Colcannon? Colcannon is a traditional Irish dish mainly consisting of mashed potatoes with kale or cabbage. A lot of times it is served with ham or corned beef. My version is a little non-traditional because I wanted to make the dish a little more paleo friendly. 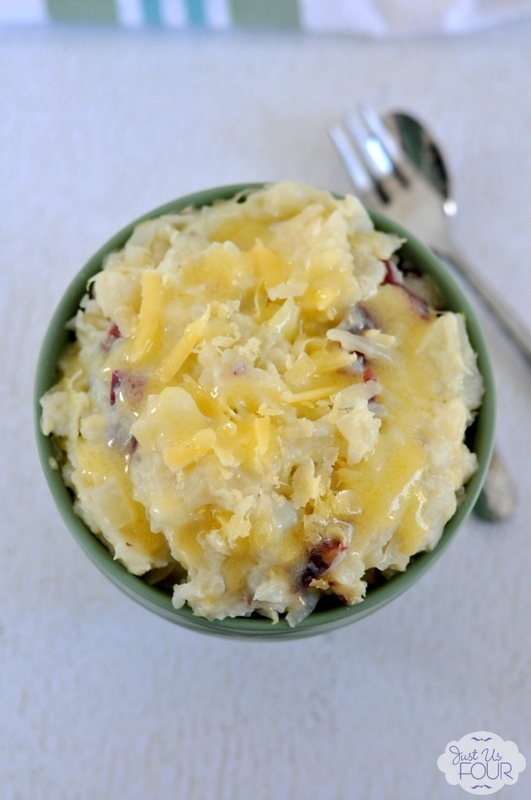 Now, the changes I made don’t make this Colcannon 100% paleo because I couldn’t skip the cheese but it is definitely a lot closer than the more traditional recipe. This is one of those Irish side dishes that you just can’t stop eating. It fits perfectly in with all of the St. Patrick’s Day foods and would be perfect for your Irish inspired feast this March. What are you planning to make for St. Patrick’s Day this year? Do you enjoy traditional Irish foods? Add potatoes and cook for 12 minutes. Add parsnips and cook for an additional 8-10 minutes until both potatoes and parsnips are tender. Drain well. Mash potatoes and parsnips together with coconut milk and salt. Meanwhile, melt butter in a large pan. Add onion and sauté for 5-7 minutes, stirring occasionally, until very soft. Add cabbage to the onions and cook, stirring often for 5 minutes more or until very soft. Stir cabbage mixture and cheese into hot potatoes and parsnips and season with pepper. Top with additional shredded cheese and melted butter if desired. I haven’t made Colcannon in years. I have never made it with parsnips. It must be delicious. I am pinning this for future reference. Thanks for sharing at the #HomeMattersParty! I need to add this to my list of new recipes. I’d never heard of this before but it sounds, and looks, amazing! Thank you for sharing!